The CTS delivers more manic power and a more competent overall package than any of its rivals. 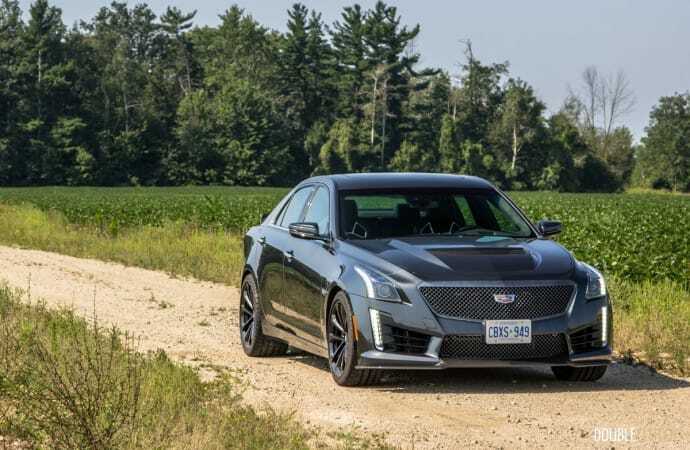 The American performance sedan has come a long way from its roots as a large, V8-powered land yacht with no handling prowess and an abundance of engine displacement under its hood. 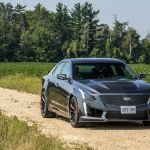 While Chrysler has been offering the 707-horsepower Charger Hellcat (reviewed here), which is essentially a dragstrip queen, the folks over at General Motors have something else up their sleeve. 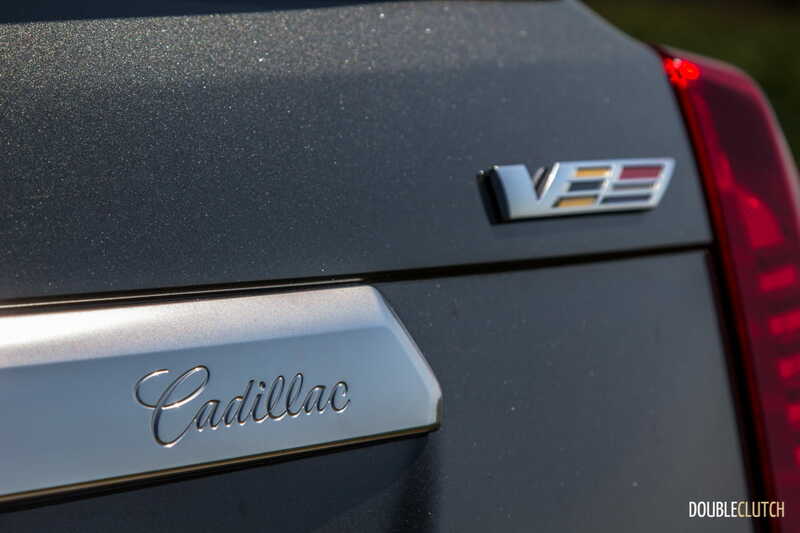 Often forgotten but having been around for over a decade, the hottest sedan they offer comes in the form of a luxurious Cadillac. 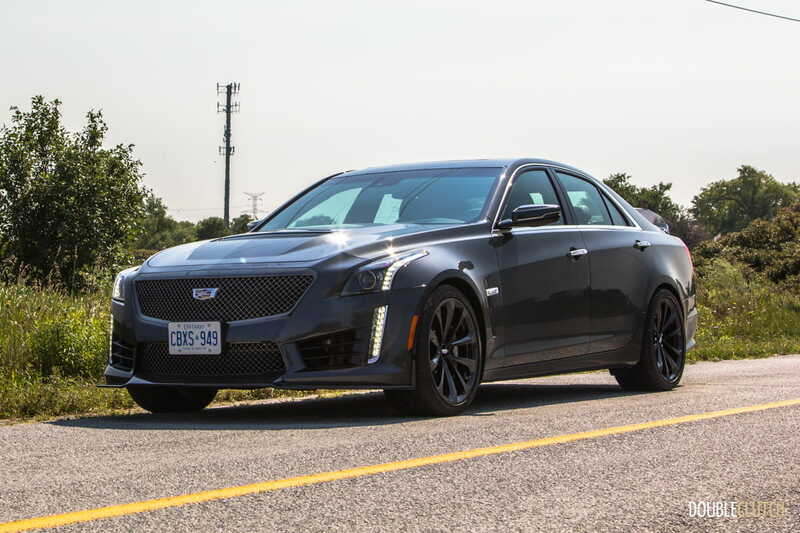 We spent an entire week with the 2017 Cadillac CTS-V to see if it’s as good as we expected it to be. 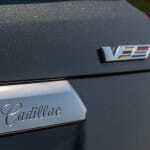 Since its full overhaul for the 2014 model year, the Cadillac CTS has been a spectacular thing to look at. 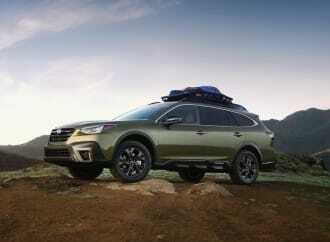 It employs some of the best use of LED lighting technology, stunning angular lines and contemporary design cues to stand out in a sea of beige sedans. 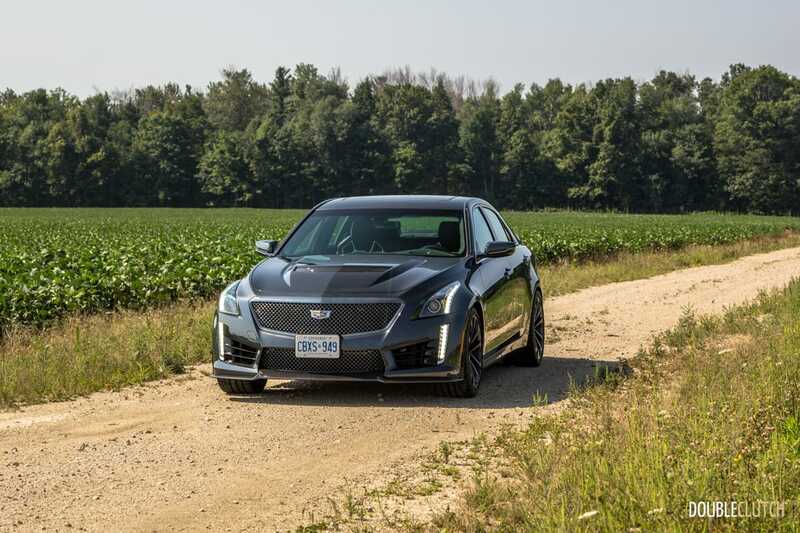 The most powerful variant, the CTS-V, takes that existing formula and builds on it using carbon fiber bits, a staggered wheel and tire setup, and more aggressive ground effects. 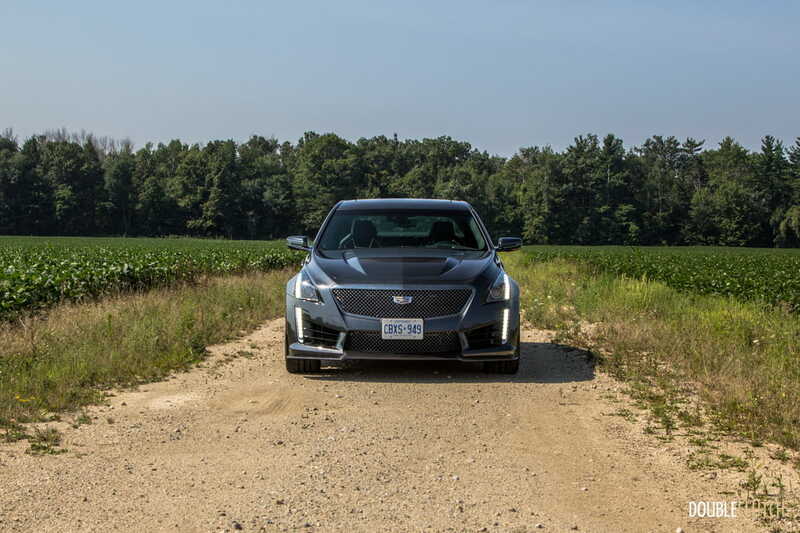 It’s still a pretty car, but more muscular and meaner looking – almost defiant of the word “pretty”. 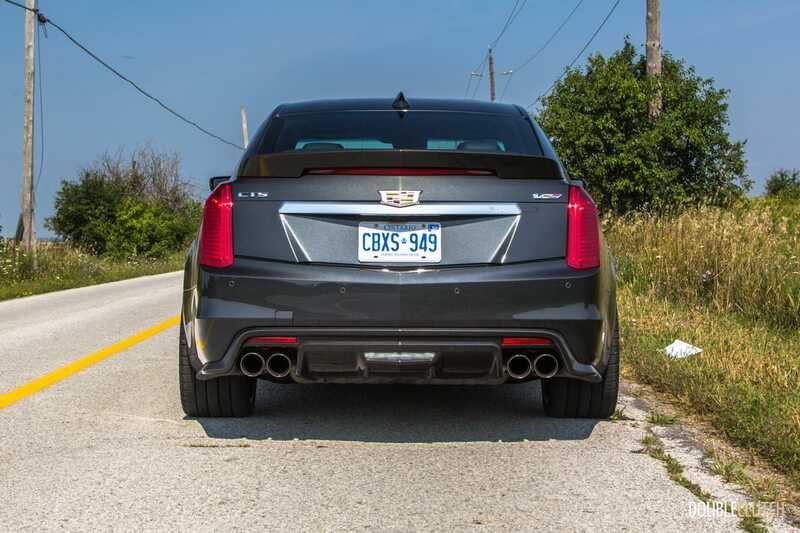 With a serious claim to fame, an alleged 3.7 second sprint to 100 km/h, the CTS-V is a proper rocketship. 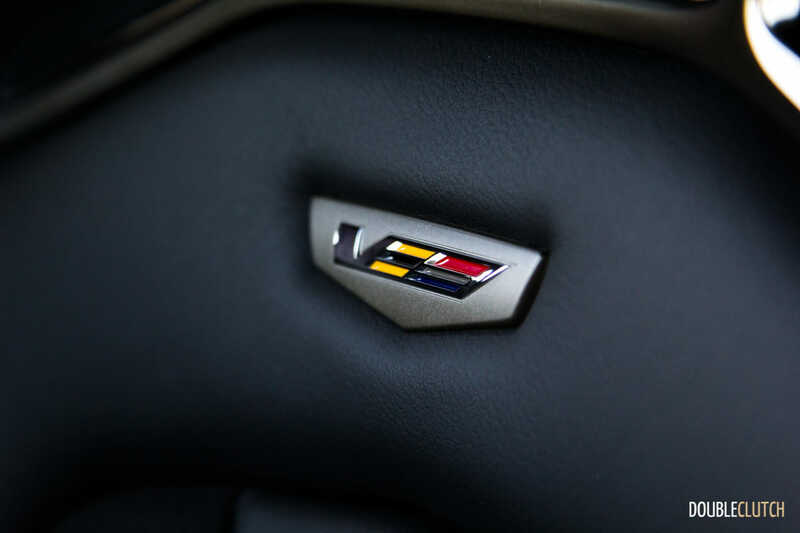 And, thanks to its Roots supercharger as opposed to competitors’ turbo setups, the 6.2L LT4 V8 delivers almost instantaneous response. 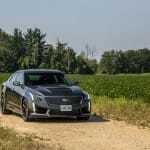 This blown V8, shared with the Corvette Z06, puts out a staggering 640 horsepower at 6,400RPM and 630 lb-ft. of torque at 3,600RPM. 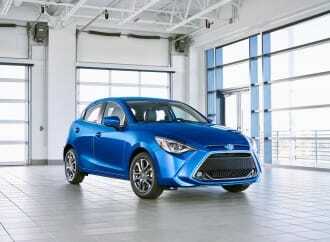 This car is a missile, and will even try to break the rear end loose in third or fourth gears if so prodded. 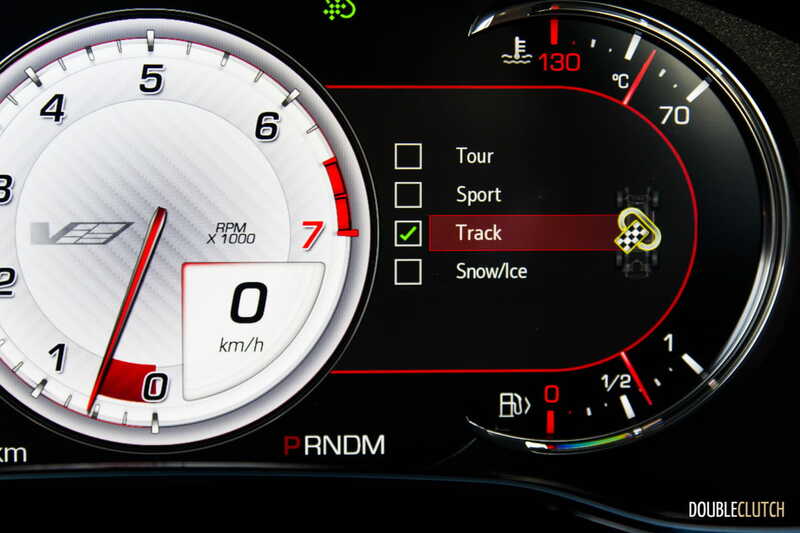 Setting the drive mode to “Sport” or “Track” will push the motor to at least 6,300RPM, just shy of the redline at 6,500 before snapping off a shift. 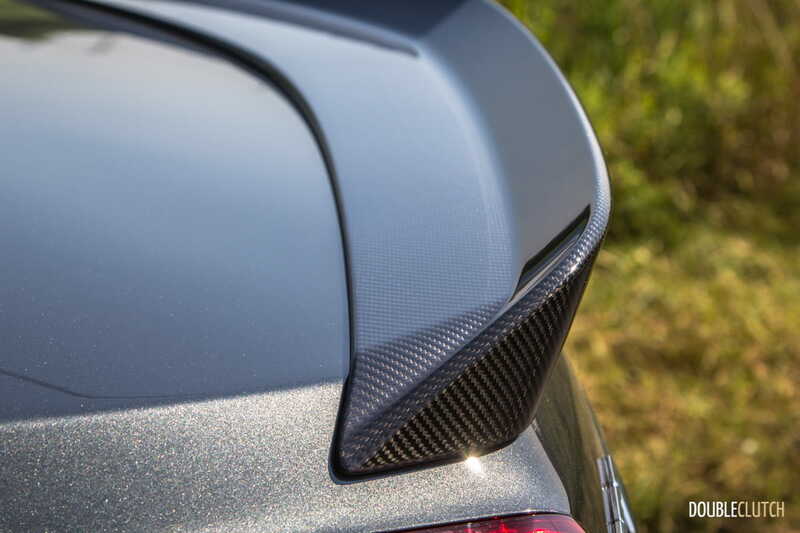 It’s not just a straight-line car, either. The CTS-V is one of the few cars we have sampled with electrically assisted power steering that actually sends some feel to the driver’s hands. 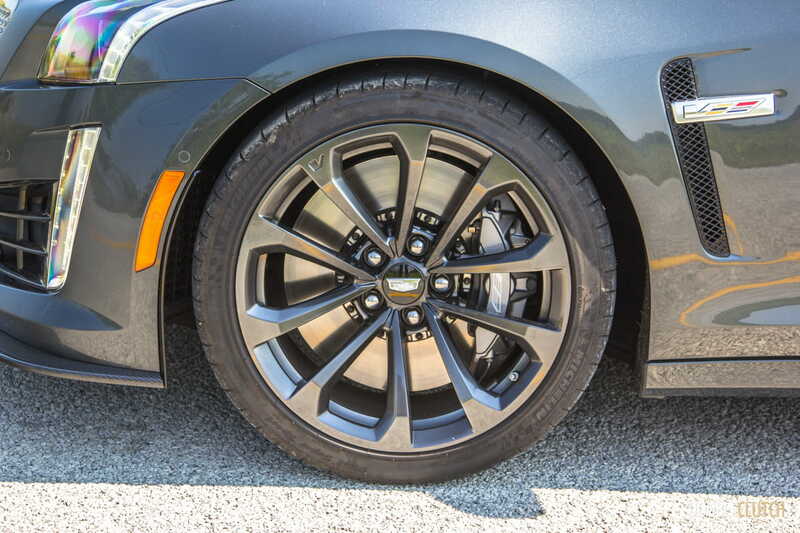 The wheel itself is meaty and nice to grip, and with both excellent on-center feel and turn-in, BMW is no longer the benchmark for good steering. 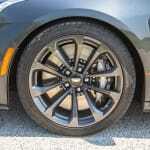 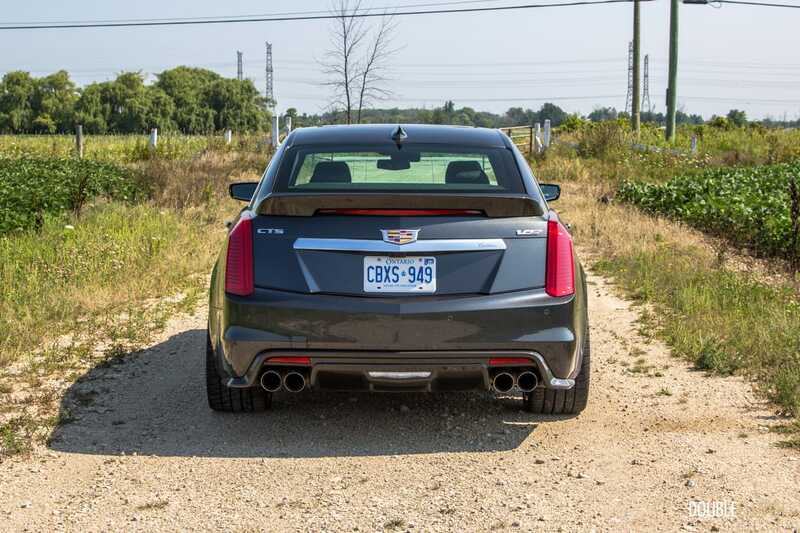 The rear-drive Cadillac will eagerly dart in and out of corners with confidence thanks to the Michelin Pilot Super Sport tires fitted, and the Performance Traction Management (PTM) system will adjust power and lock-up from the diff to keep things planted. 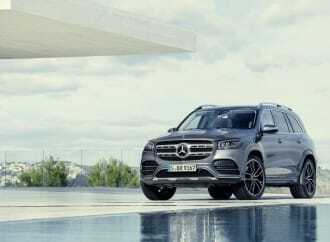 The eight-speed automatic transmission is brilliant, and knows how to hold its own without any real intervention from the driver. 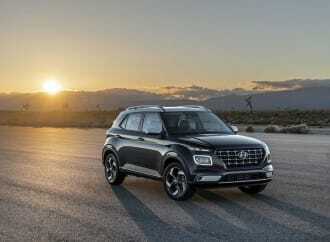 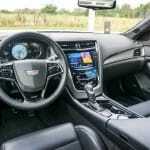 Sure, those wanting to bring out their inner purists will want to use the wheel-mounted paddle shifters, but the automatic is able to pull off snappier shifts and at the perfect times. 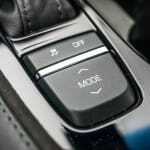 The shift points are adjusted in “Sport” and “Track” modes, holding gears longer for easier corner exits and more immediate response. 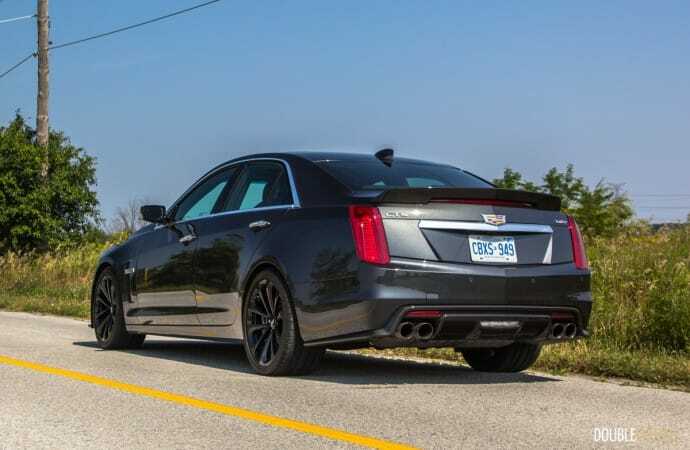 There is also a launch control mode which can pull off that perfect start for every track day you choose to take the Caddy to, and those who thrive at the drag strip will be impressed by a claimed quarter-mile time of just 11.8 seconds at 124 mph. 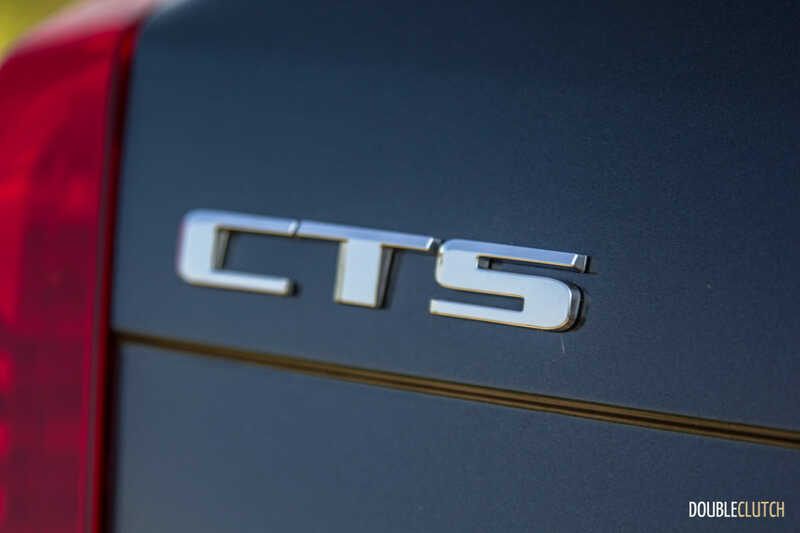 Where the car continues to impress is during the everyday commute, where many buyers would be satisfied with an “ordinary” CTS (reviewed here), or even a well-equipped ATS. 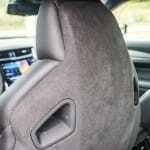 GM’s Magnetic Ride Control ensures a compliant ride, which remains on the firmer side as expected for a V-car. 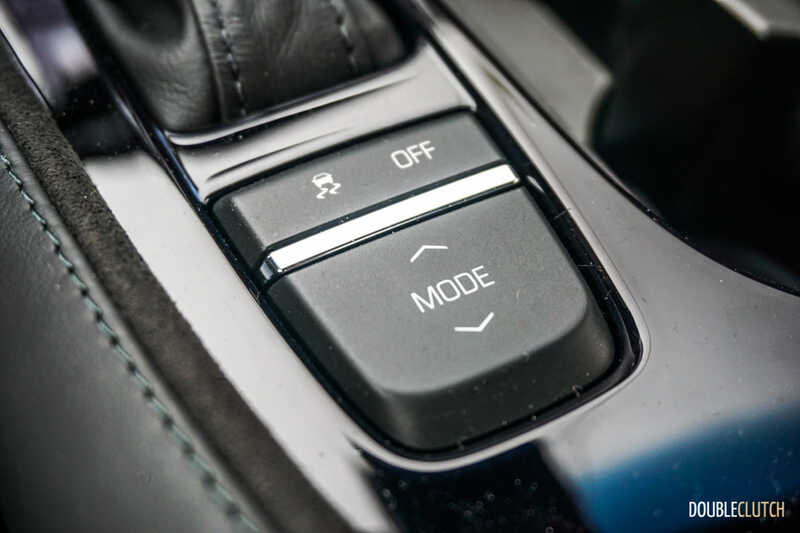 The firmness of the dampers is altered using the drive mode, but in the “Tour” setting, the car is every bit as quiet and smooth as a regular Mercedes-Benz E-Class (reviewed here). 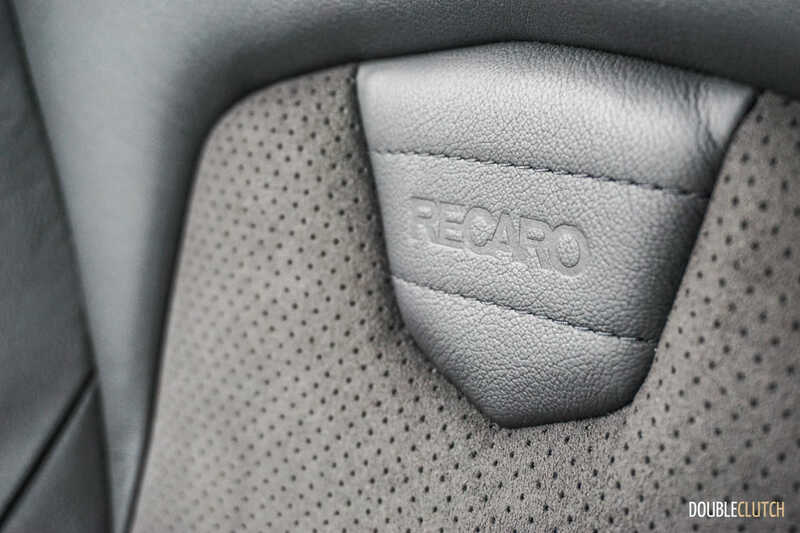 The dual-pane front windows and laminated windshield help with noise cancellation significantly, and the optional Recaro seats are comfortable in a normal setting despite providing fantastic bolstering when driving aggressively. 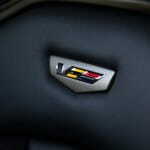 Cadillac rates the particularly thirsty CTS-V at 16.5L/100km in the city and 11.1L/100km on the highway. 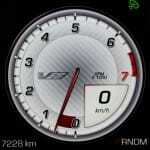 However, if the car is driven conservatively and maintains steady highway speeds, it can do significantly better. 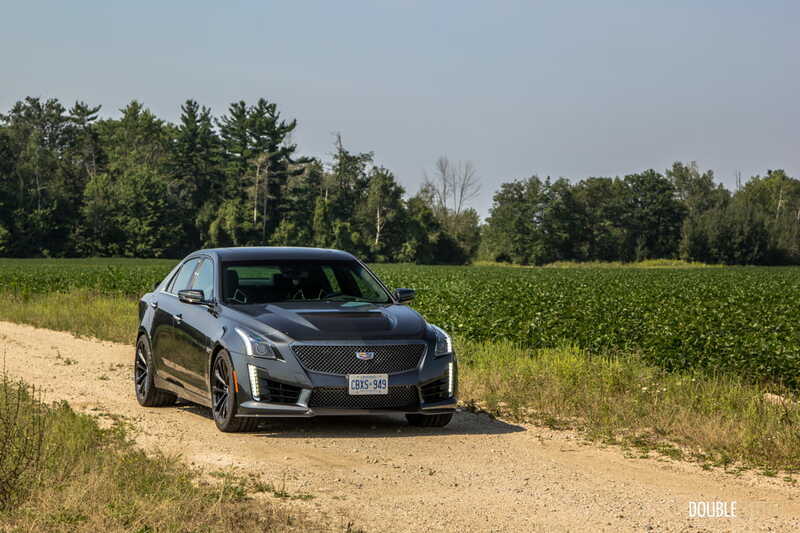 Taking advantage of the instantaneous fuel readout and the cylinder deactivation that will shut down four of the cylinders, we were able to get the CTS-V down to 9.0L/100km over one highway trip. 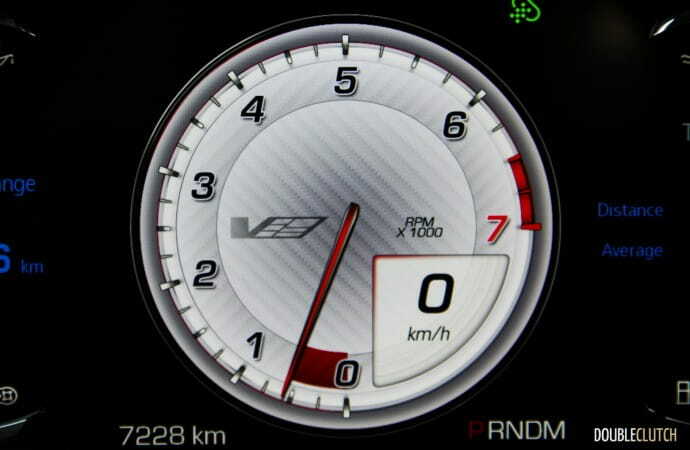 Overall test average was 14.4L/100km. 91-octane premium fuel is required, but we recommend 93 or 94-octane for optimal performance and efficiency. 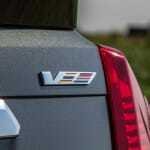 Our test took place on 93-octane fuel, for reference. 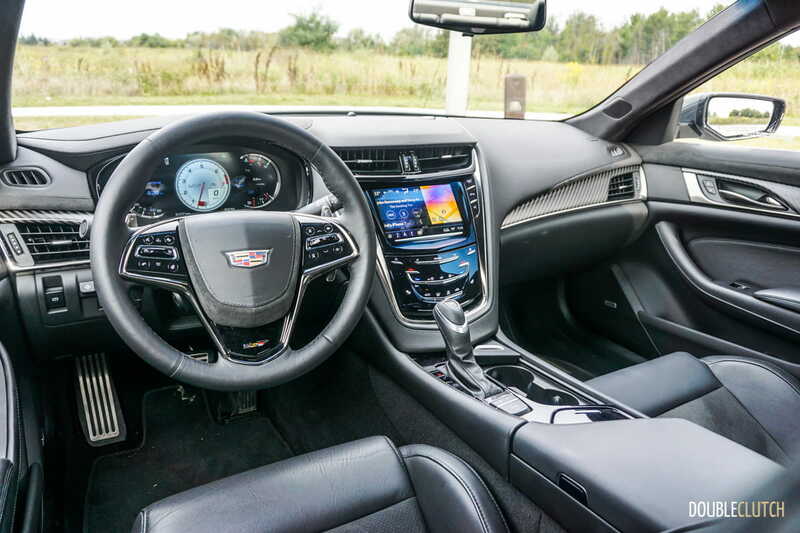 A seemingly universal complaint with Cadillacs over the past few years has been the god-awful CUE infotainment suite, which was bordering on impossible to use. On this year’s CTS, the setup has been fully revamped and revised, essentially using a re-skinned version of GM’s infotainment and a new processor. 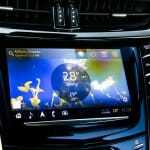 The 8” touchscreen is responsive and nowhere near as buggy as it used to be. 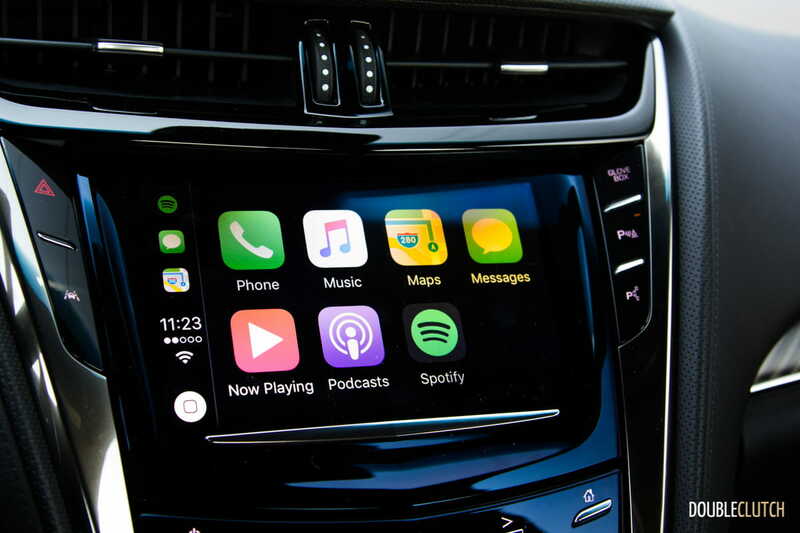 The car has a 4G-LTE WiFi hotspot and Apple CarPlay/Android Auto connectivity. 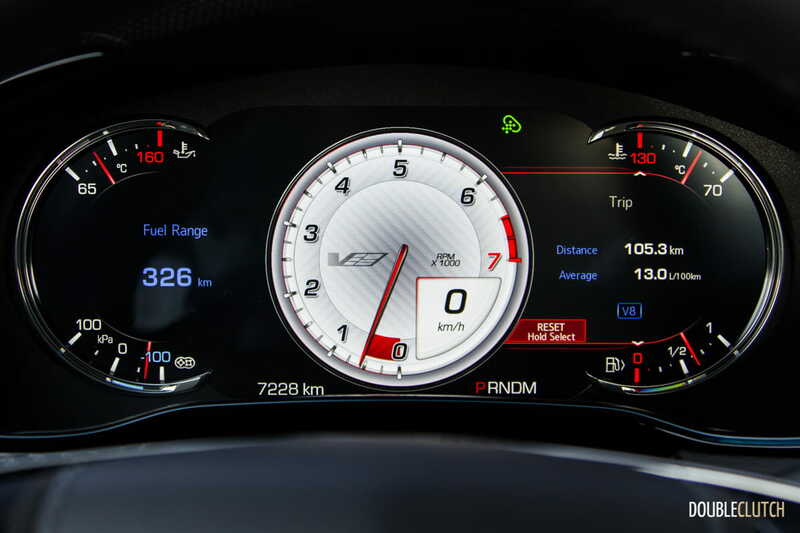 In front of the driver is a customizable 12.3” TFT instrument cluster which displays all vehicle diagnostic information with great clarity. 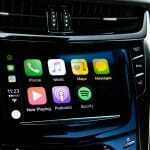 The infotainment system was the largest gripe with an otherwise very well designed interior. 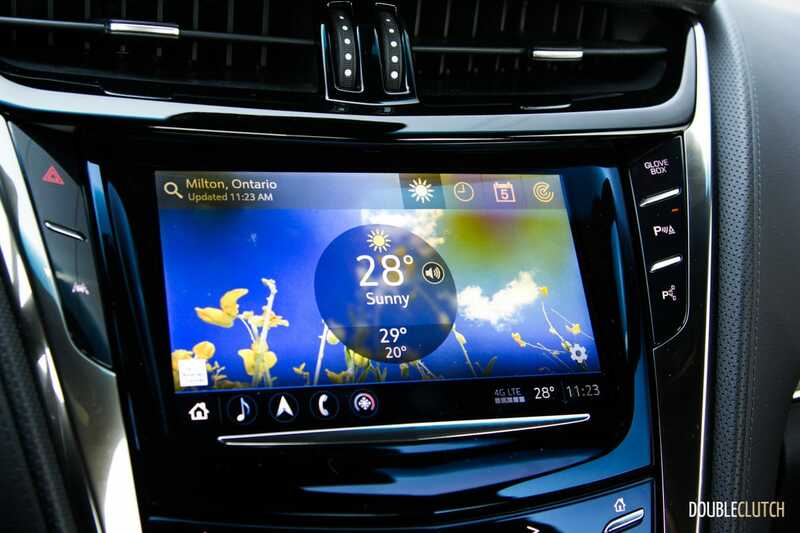 Buyers could hope for an interface that doesn’t require touch sensitivity to operate simple commands such as temperature adjustment or opening the glovebox, but such is the way of the future. 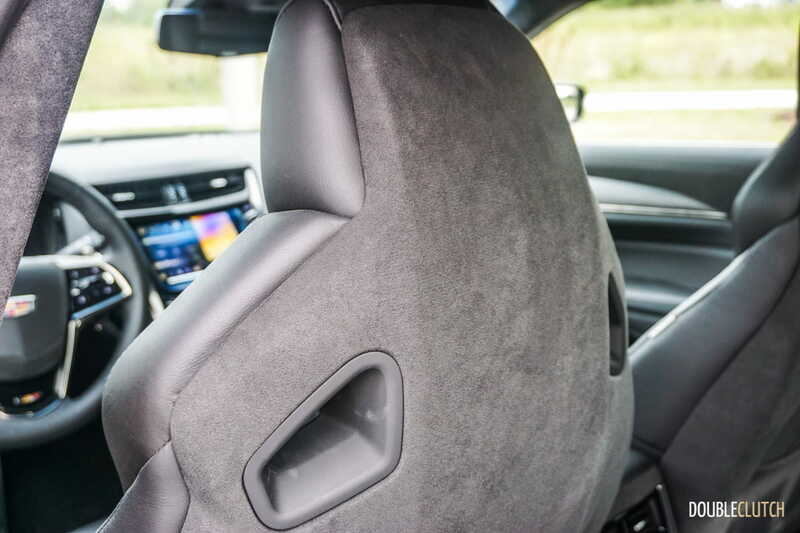 The CTS’ materials are all high quality, with a combination of leather and Alcantara throughout the cabin. 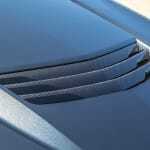 Fit and finish is also very good, though small touches like the power-operated lid for the cupholders is going to break and be one more expensive part to fix outside of the warranty. For the 2017 model year, the CTS-V starts at $93,010 for the base model, which comes significantly more equipped than the standard CTS. 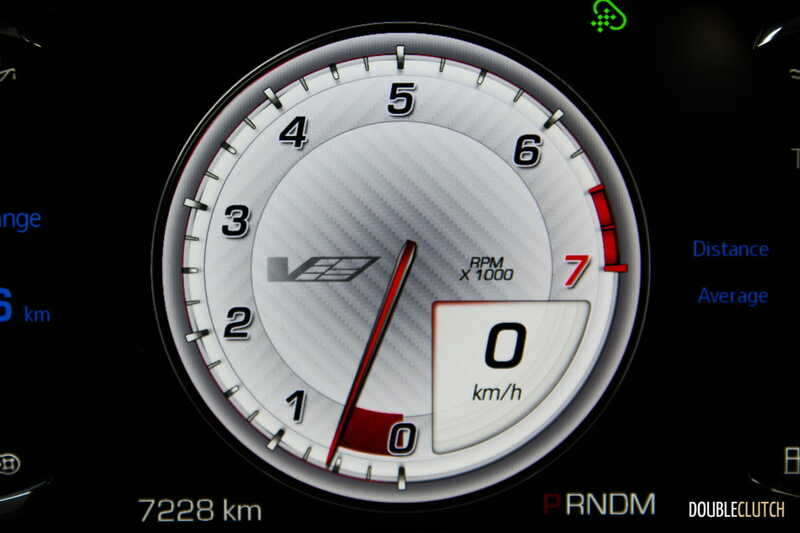 Most of the performance goodies including the supercharged 6.2L V8 are standard equipment. 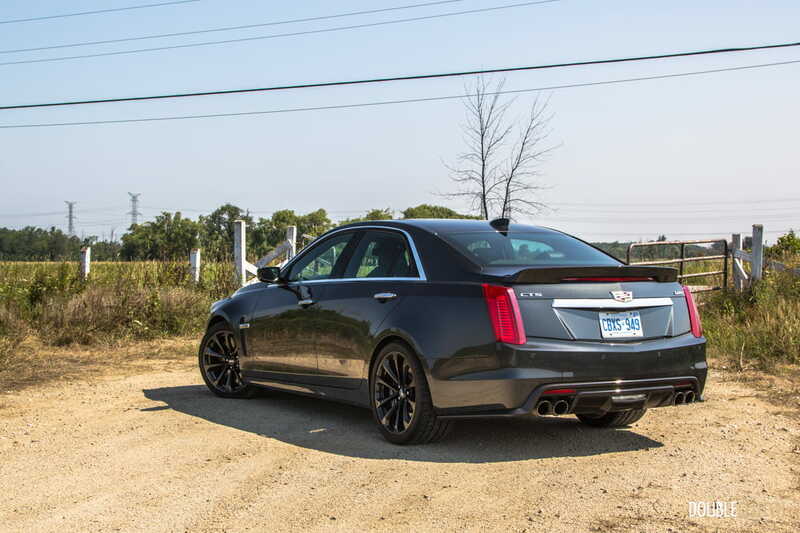 Our test vehicle, painted in a Phantom Grey Metallic, was equipped with a $7,995 Carbon Black Package that blacks out a bunch of the exterior bits, an UltraView panoramic sunroof ($1,795), the Luxury Package which adds tri-zone climate control, rear window blinds, and a power rear sunshade. 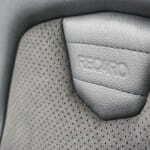 The aggressive Recaro performance front seats are $2,645. 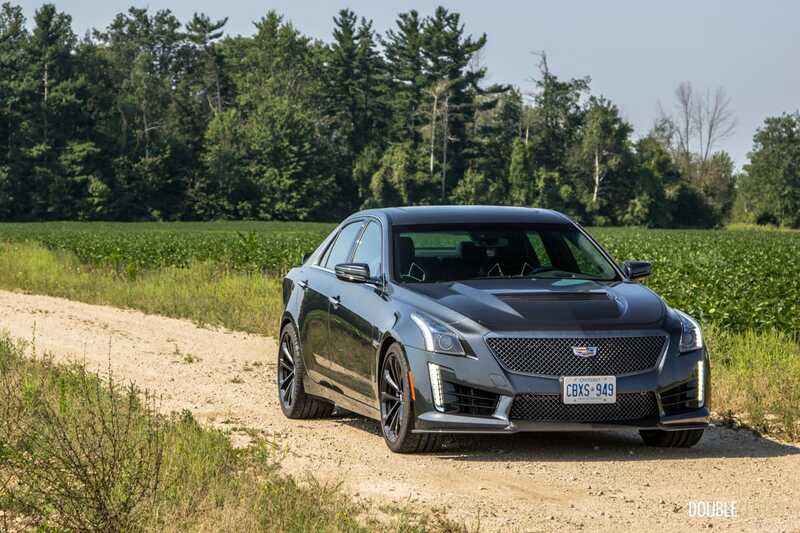 Add in the nifty Performance Data & Video Recorder for $1,795 and the Carbon Fibre Interior Trim kit ($1,270) and the sticker comes to just over $110,000. 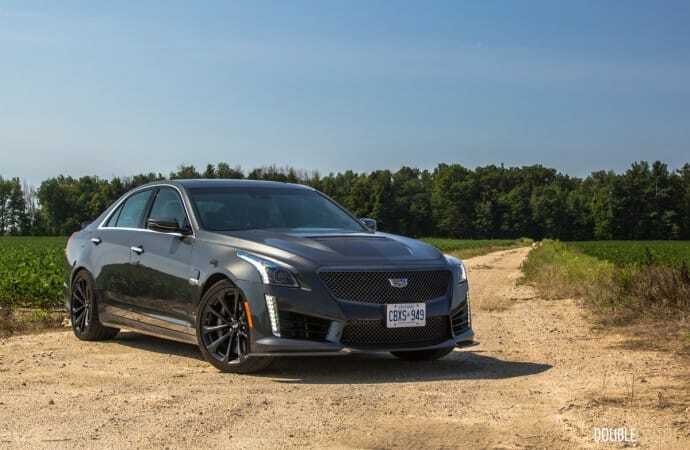 Competition comes in the form of the Lexus GS F (reviewed here), and at the time of this writing, the BMW M550i (reviewed here). 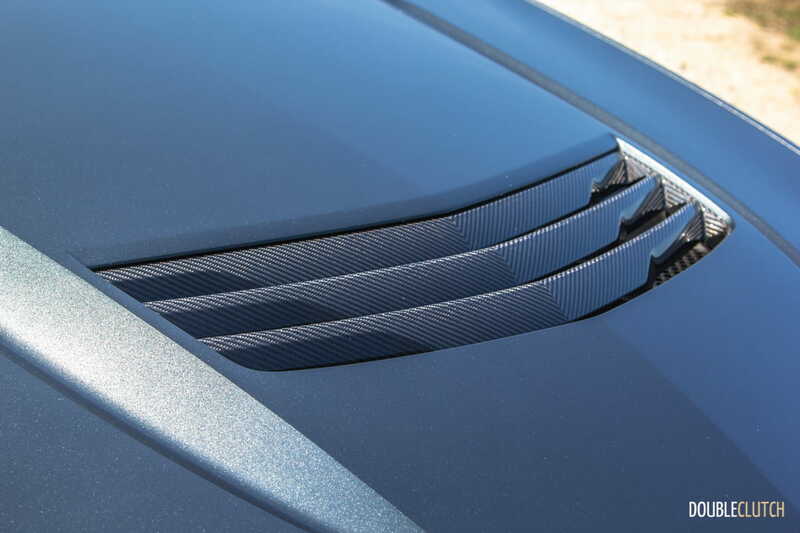 The fire-breathing 600-horsepower M5 has debuted, but is yet to arrive at dealerships, and the Jaguar XFR has been discontinued until further notice. 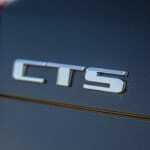 The CTS delivers more manic power and a more competent overall package than any of these rivals, and is by far the one to have. 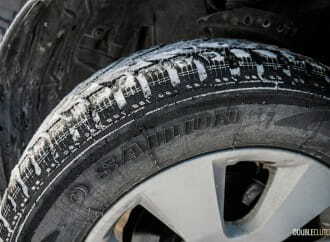 It’s also the thirstiest on fuel when nearing its limits, but that’s not by any means an adequate bar to measure it at. 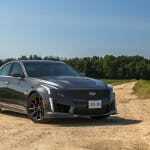 The 2018 Cadillac CTS-V is a winner not only within the class it plays in, but as a brilliant all-around machine for the enthusiast. 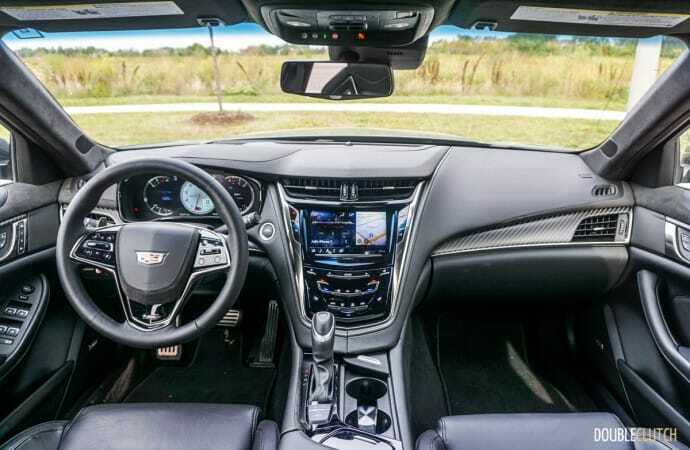 It employs the latest damping technology, incredible steering with actual satisfactory feel, and an interior akin to a buttoned-down designer suit. 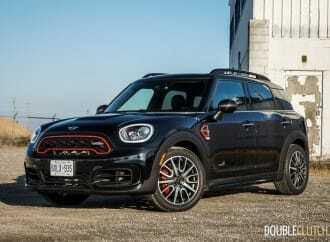 This is the car to have when you can only have one, and it will happily commute to the office in rush hour during the week, and keep a grin on your face as it sets hot laps at the local track on the weekend. 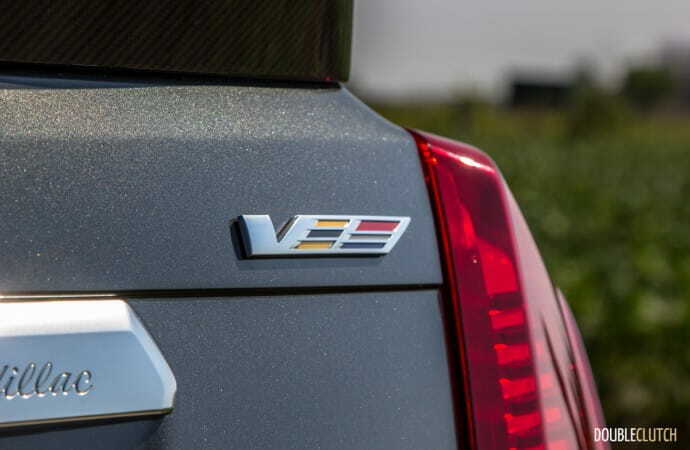 It’s impossible to go wrong with this car, and Cadillac has seriously knocked this model right out of the park.